If you love looking at project pictures and sharing photos, you can find us on Instagram! We love to post remodeling updates, crew photos, and pictures of everyday life on the shoreline to share with family and friends. If you're looking for ideas, inspiration, or advice, you can find us on Houzz! One of the best and easiest ways to plan your next renovation is to save your favorite designs. The Houzz ideabook is a great tool that you can use to save photos, make notes, and share with the Shaw team when you're ready to get started! 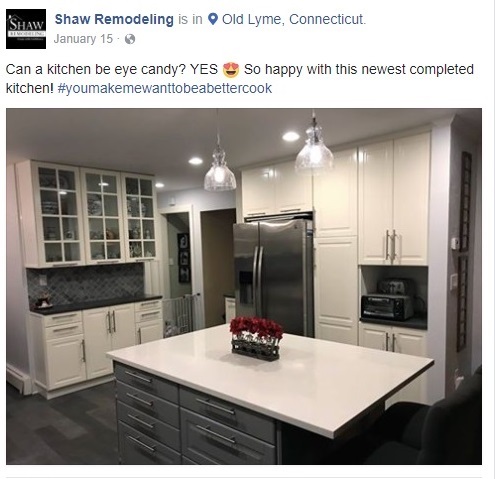 If you love a good makeover and you're interested in seeing projects from start to finish, you can find us on Facebook! We love to post project updates, tips and tricks, and fun articles to share with family and friends. If you're looking for creative inspiration, seasonal decorating ideas, or fun remodeling pins, you can find us on Pinterest! Our pin boards are full of our favorite renovations, inspirational photos, and good humored fun. If you're looking for interesting renovation articles, new trends and recommendations, and all around fun tweets, you can find us on Twitter! 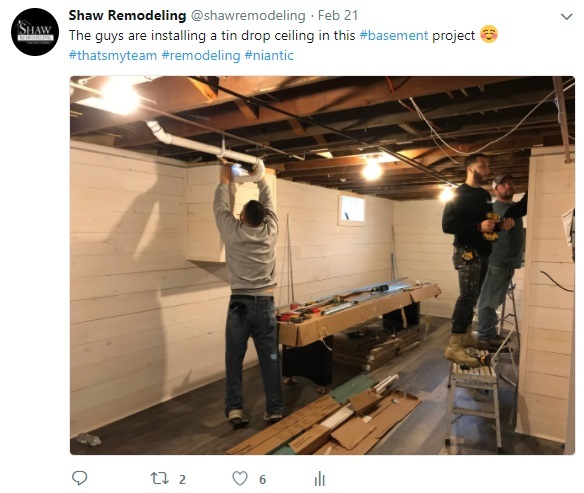 Our twitter feed is full of remodeling inspiration, project sneak peeks, and home improvement humor. If you're looking for project updates or our lighthearted videos, you can find us on YouTube! You can also view Colin and our Fix My House makeovers on CT Style.